Cook Vanpayar in a Pressure cooker with Water, red chilli powder, turmeric powder, coconut flakes, garlic, shallots and salt for 3-4 whistle. Heat oil in a pan, add mustard seeds, allow to splutter, add Red chilly flakes and curry leaves. Add cooked vanpayar, mix well. Serve with hot rice. Oh,made me nostalgic! 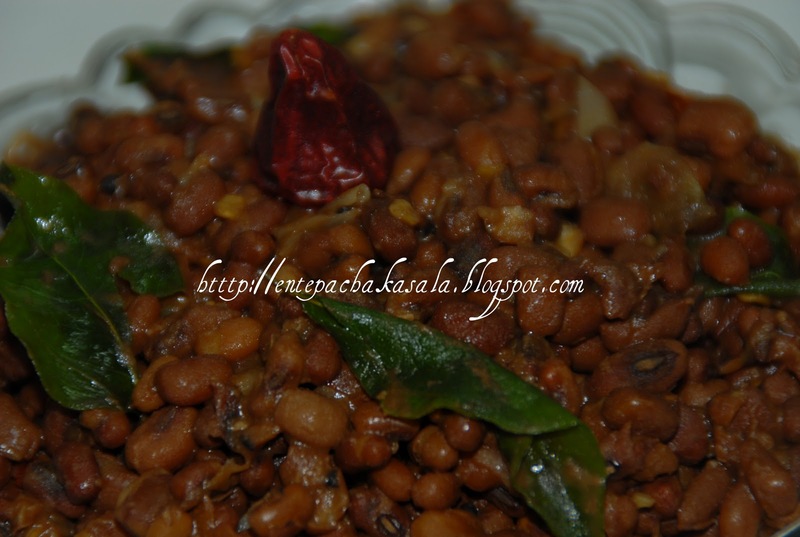 You know Jaisy,I loved this vanpayar always,even as a kid it was my fav.To have it with puttu or just to have it with tea..thats superb bowl of pleasure you made there !! the mezhukkupuratti looks swell jaisy-i'm loving it ! Nice presentation and looks yummy! Vanpayar mezhukkupuratti adipoli. kanji koode kityal kollam. nice combo with rice and even paratha. Definitely a nutritious and wonderful dish,i can have for my snacks..
looks really yummy !delicious ! Beautiful picture of an easy dish that I love any time. I love this dish but make it without adding coconut will sure try your version.It looks delicious. 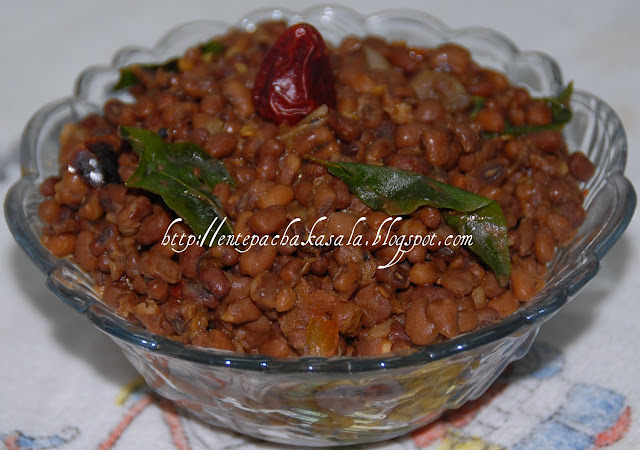 Jaisey, this is my favorite dish...I love it with puttu, rice, roti...I mean with almost anything....YUM!!! nice clicks n simple healthy dish..
i love them wth hot kanji..
love this anytime..looks so perfect n yumm!! Thank you soo much for your lovely comments and visiting my space. You have a cute space dear. Happy to follow you..